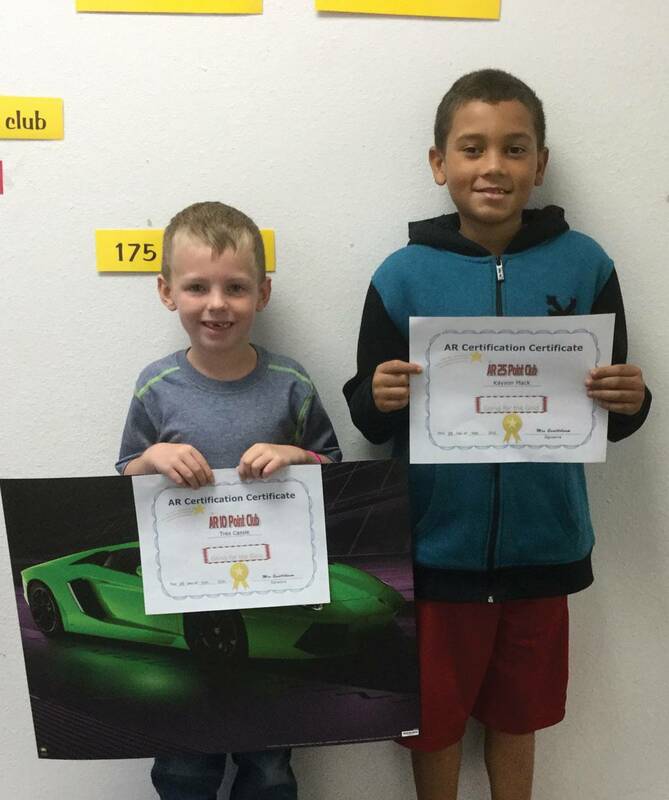 Leedey first grade Tres Cassle celebrates his first 10 AR points and second grader Kayson Mack joins the 25 AR point club. Not pictured is Abby Welty who achieved 100 AR points this week. Great job students!